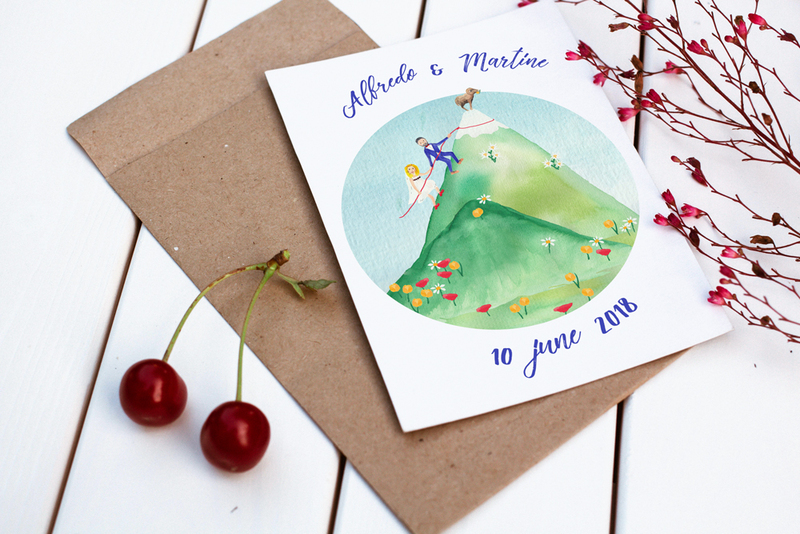 A wedding design including a card, little thank you card and cotton canvas that I made on commission. 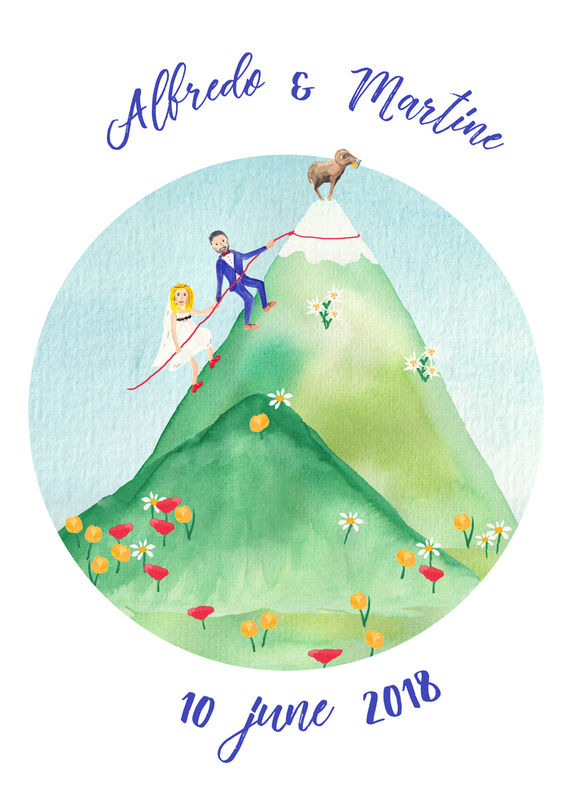 It was for the couple especially important to show on the card the mountain on which they will marry and and to mix Dutch with Italian aspects. 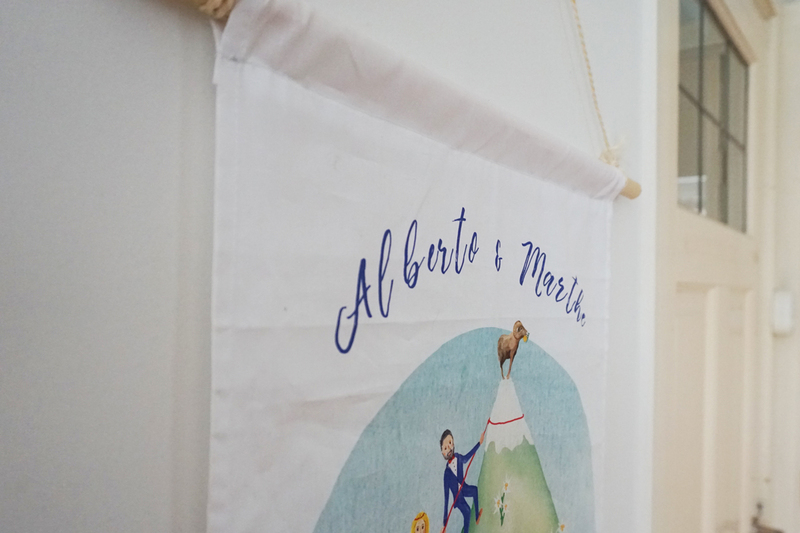 I also had a cotton canvas printed with the illustration that they could use to decorate the wedding location. 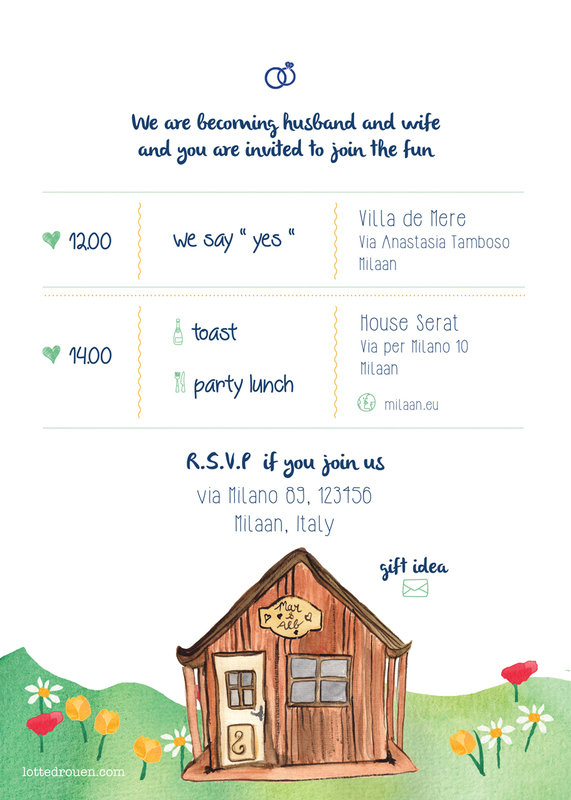 Do you also want a personalized wedding card or wedding design? Contact me! 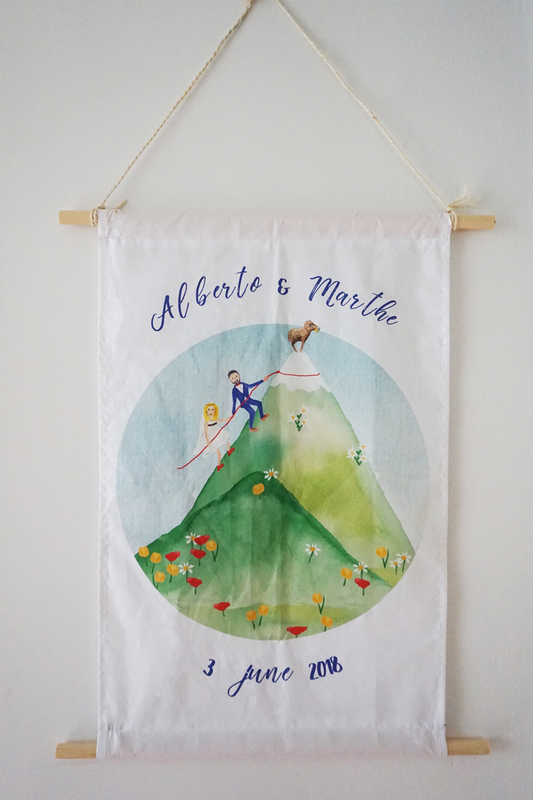 Or look in my shop. Do you want to know more about how the process works and the price? Read the frequently ask questions. Please do not copy anything from these images.